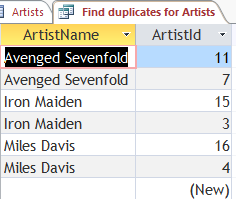 ﻿ How To Find Duplicate Records In Access 2016? 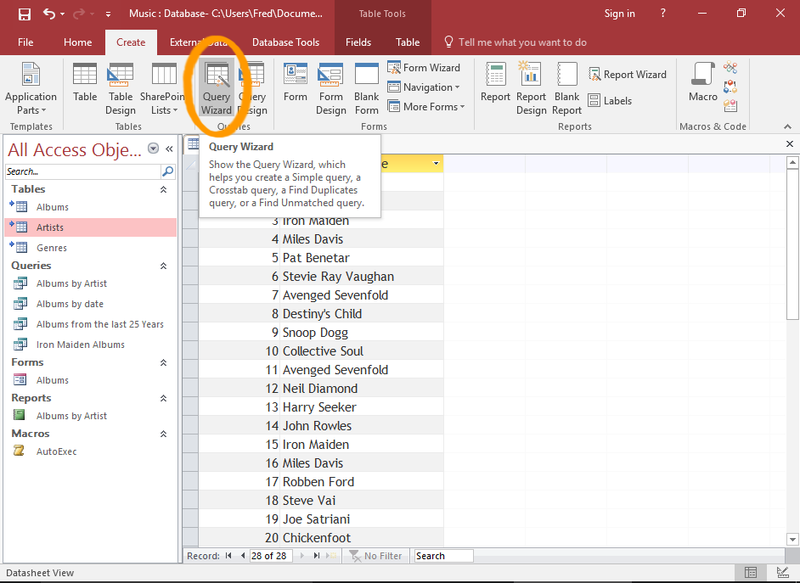 How To Find Duplicate Records In Access 2016? Running into duplicate data entries in access database can be quite annoying issue during the hectic workday. You must know the techniques to identify the duplicate records so you can manually handle them. Duplicate records often creep in when multiple people entering data into a database without enough safeguards. Merging several databases together can also cause duplicate records like issues. Well to deal with this Access provides a Query tool to find duplicates in your database. Using this wizard you can remove or merge them, making your database easier to read and more effective. 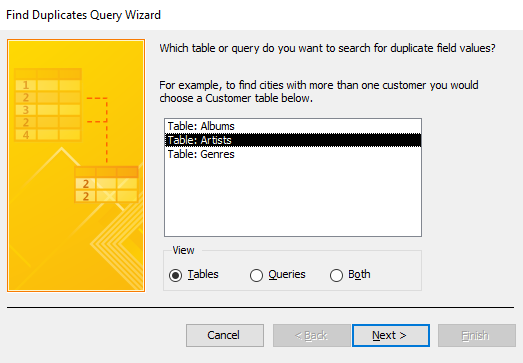 This tutorial will guide you on how to locate duplicate records in table using Query Wizard. First of all run the Query Wizard. For this click Query Wizard from the Create tab in the ribbon. 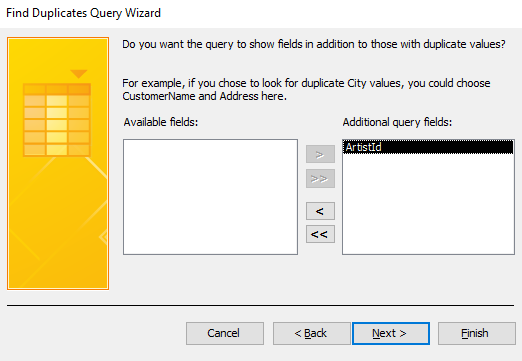 This will launch the query wizard. 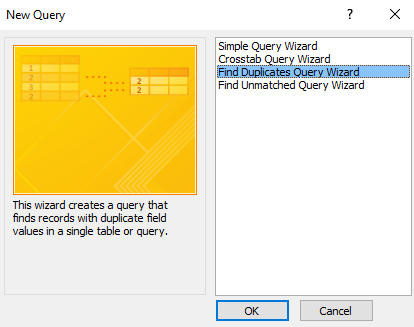 Click to Find Duplicates Query Wizard option and then click to ok.
Make selection for the tables or query of which you want to find duplicates from. Then click Next. In the left pane, select the fields containing the potential duplicates and click the arrow button (>) to shift it across the right pane. Once the correct fields are in right pane, click to the Next option. 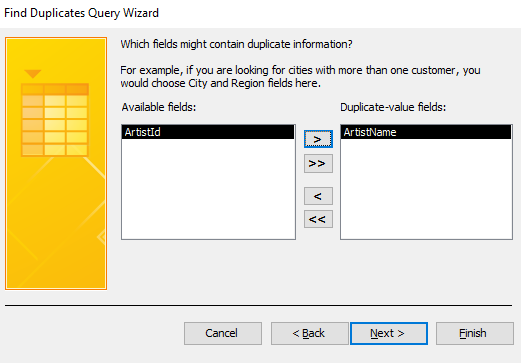 Now it’s time to select the fields that you would like to display in the query results. Move to the appropriate field in the right pane, just as in previous step. Once the correct filed is shifted to the right pane, click to the Next option. 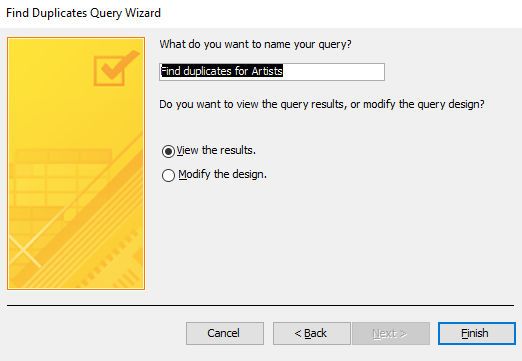 Assign name to the query and select whether you would like to view the results immediately or modify the design. At last tap to the ‘Finish’ option. The result will appear with duplicate records; you can either edit or delete duplicate records with a query. You can use this query to perform further actions like, deletion of unnecessary records, run a report etc.